Register for the Hunger Walk & 5K Run today! 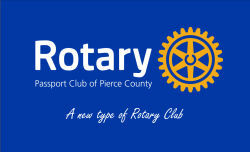 On May 4, 2019, the Rotary Passport Club of Pierce County will have a team of walkers, runners and volunteers participating in the 39th annual Hunger Walk & 5K Run benefiting Emergency Food Network (EFN). EFN is the central nonprofit food distributor serving Pierce County. In 2018, EFN distributed more than 13.7 million pounds of food to its 71 partner food pantries, meal sites, and shelters. That’s a lot of food! Unfortunately, the need is only growing. 1 in 7 people in Pierce County experiences food insecurity throughout the year. In fact, food insecurity is an issue that affects every community in our country. By supporting EFN, we can make sure that everyone in Pierce County has access to food. This is why I am participating in the Hunger Walk & 5K Run. Not only am I participating but I’m also raising money to support EFN. These funds will allow EFN to distribute over 1 million pounds of food each month to their emergency food sites. Please join me in supporting this amazing organization by giving a gift. Thank you in advance for supporting the Passport Club in our efforts to make sure no person goes hungry. Make your donation go further by covering the processing fees.